In partnership with Rotherham United Ladies and Brinsworth Whitehill JFC, RUCST are kicking off a brand new Football Academy for ladies aged 16+. – A choice of a number of Further Education and Higher Education programmes delivered by Rotherham United Education Academy. – The opportunity to play for Rotherham United Ladies (U18’s). 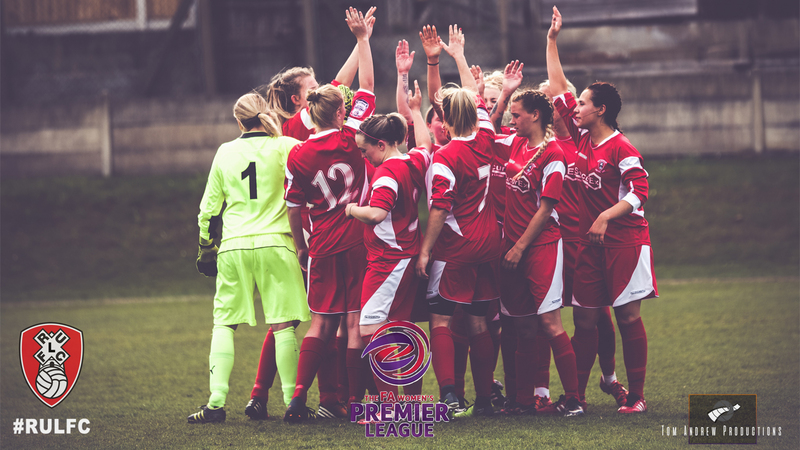 – The opportunity to play for Rotherham United Ladies First Team (dependant on ability level). – Regular training sessions including Strength & Conditioning. – £300 bursary to cover costs of playing fees and training kit. – Opportunities to undertake FA Football Coaching Qualifications. – Progression routes into Higher Education and employment into the Sports Industry. – A pathway into Scholarships opportunities in America. – Level 3 BTEC Extended Diploma in ‘Sport Performance & Excellence’ (equivalent to 3 a-levels). If you are interested in the programme then we will be present at the Rotherham United Ladies Open Trial event this Saturday (09th June) at Sheffield Hallam University Sports Park from 09.30, where you can come and find out more information.